Now, I have a fair amount of respect for Cryptic. They've put out some really good games, own the rights to some really serious franchises, and have pretty dedicated gaming communities investing a lot of time in their games. They still tend to be trailing competitors in MMO popularity and population, though, and I think one of the reasons why is that their tech support is frankly horrible. Their recent patch has made the game quite unplayable for a number of users, myself among them, for about a week and a half due to a series of errors that prevent the launcher from loading, and despite a sizeable outcry on the forums, they've yet to resolve or even acknowledge this issue. Their patches tend to come in pairs: there'll be a big one introducing some new feature or item, and then a few days later another one to repair all the glaring problems that the first one caused, but this is a more severe problem than most in the past have been, and it's taking them a long while to fix it. Anyway, I haven't been on Champions for a while, but I assure you that this blog is still active. Just currently experiencing some technical difficulties. 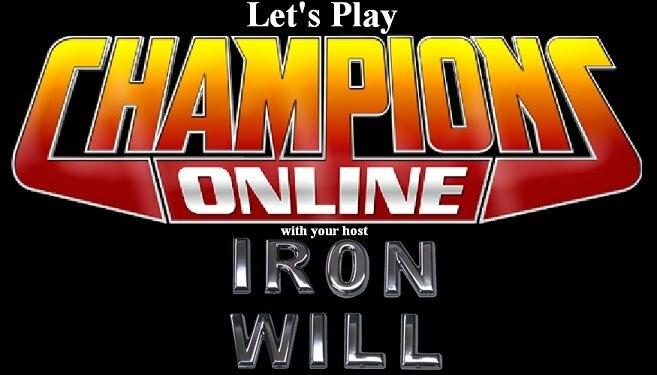 Meanwhile, I've made an entry for Iron Will over on the Primus Database. The Primus Database is a fun little wiki for in-game heroes and villains that I forgot existed. A quick browse-through gives a pretty good impression of some of the more active members of Champions RP-community, and it's a pretty good read, personal opinion.